2. Blend in a mixer grinder for 2 minutes till very smooth. 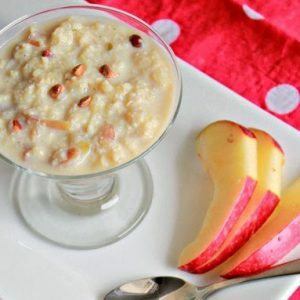 Apples are rich in pectin and high in fibre. An apple a day keeps the doctor away has been very rightly said. Honey is well known for its medicinal properties. It is a rich source of minerals like iron. Feel free to comment or share your thoughts on this Apple Honey Drink Recipe from Awesome Cuisine.